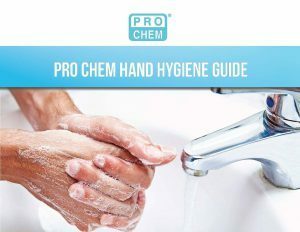 SUDS HAND SOAP | Pro Chem, Inc.
SUDS is an effective antibacterial hand soap for use in any setting. This high foaming soap spreads rapidly across the hands, covering more skin area and taking less time than traditional cleaners. Traditional liquid soap users often press the dispenser as many as three to four times and use more cleanser than is needs. With SUDS, one press is typical. The foaming action is created by our unique pump system, which takes a measured amount of cleanser, infuses it with air and converts it to a mass of foam soap. 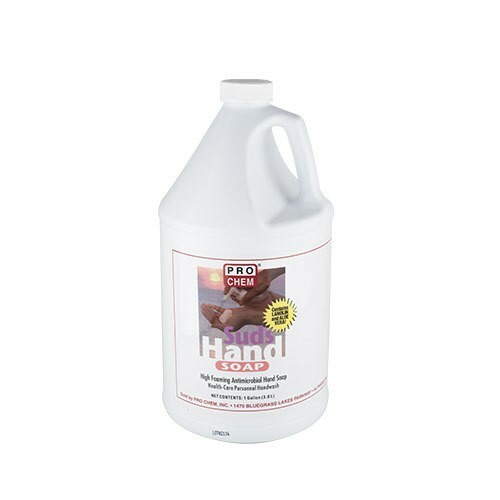 This is an antimicrobial and antibacterial soap that contains chloroxylenol, which is effective against E. coli, Staphylococcus aureus, and Pseudomonas aeruginosa. Wet hands and forearms. Pump SUDS into hands. Wash hands as normal to kill bacteria and germs. Rinse hands clean with water. Pat dry. 2,500 pumps per 1,000 ml container, 0.4 m per pump.